In hadith Tirmidhi The Prophet, صلى ا عليه وسلم said. It is the seven repeated verses and the Glorious Quran that I was given. 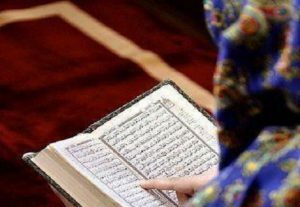 In The Quran, Allah says, indeed we have bestowed upon you the seven repeated verses, it is the mother of the book. The opening of the book shows its importance because it has more than one name, like The Prophet as more than one name and this surah Fatihah as more than one name. 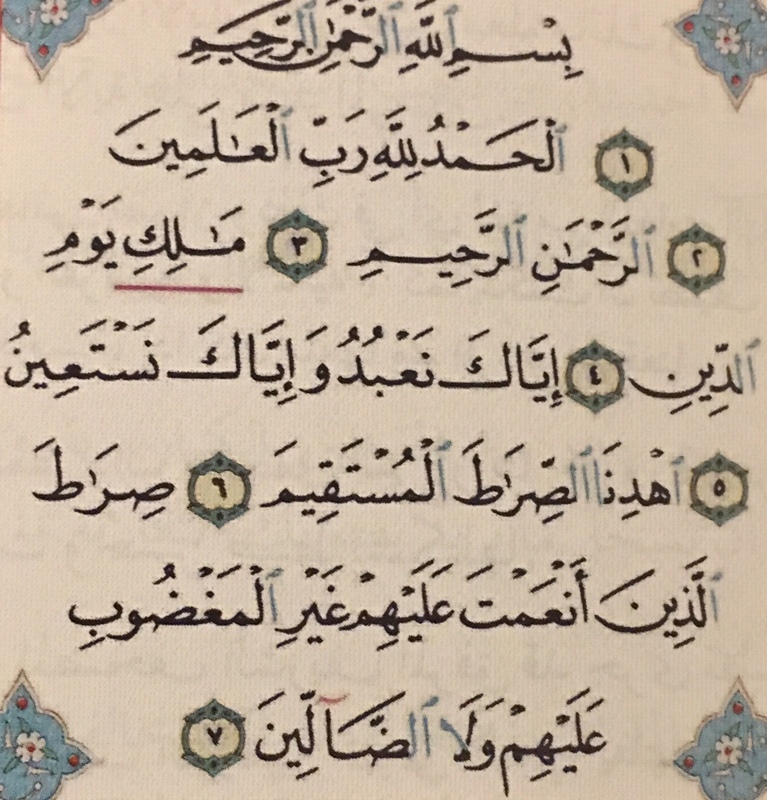 Surat Al Fatihah was the fifth surah to be revealed, fifth in order of revelation. It is one of the earliest revelations and one of the first surahs to be revealed in its entirety. Many surahs were revealed gradually and in parts and Fatihah was one of the first. In Hadith, while the angel Jibreel was sitting with the Prophet صلى ا عليه وسلم, Jibreel heard a noise from above and said this is a door being opened in heaven and it has never been opened before, and then an angel came down and said receive these two lights the Al Fatihah and ending ayets of Al Baqrah never revealed to any prophet before which shows the importance of Al Fatihah. The first etiquette when reciting the Quran is to seek refuge with Allah from shaytan because Allah سبحانه وتعالى says in Surah Nahal Verse 98 when you recite the Quran first seek refuge in Allah from the Shaytan the expelled. 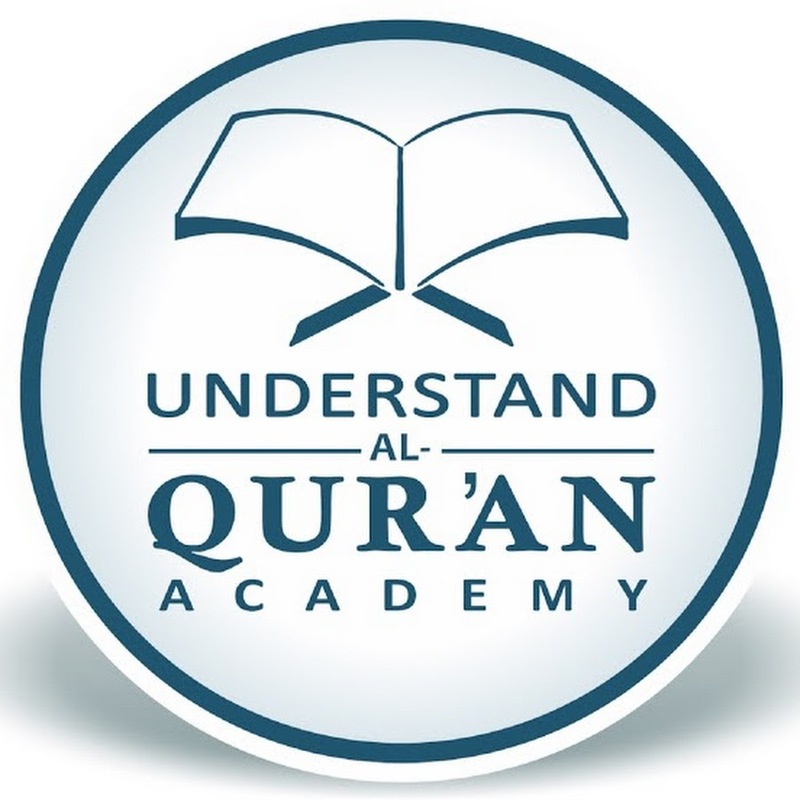 Although shaytan always whispers to us, he becomes more active when we walk upon Allah’s path and especially when we reach the stage of opening the book of Allah because he is worried that people will connect with the Quran, that they will connect with Allah سبحانه وتعالى and that means they will no longer remain in his control. Allah سبحانه وتعالى says in the Quran indeed, my servants, no authority will you have over them except those that follow you of the deviators. 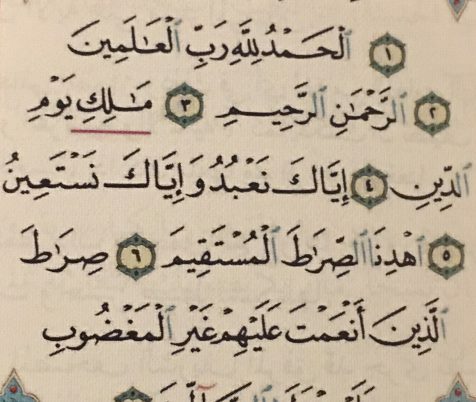 So when we are studying the Quran, when we want to learn shaytan will put whispers, he will say things like this is very difficult for you, maybe this verse has a different meaning, he will put these whispers and that is why we seek protection when we begin the Quran so we can be protected from the whispers of the shaytan. When we begin to do something new, when we start a new venture in life, when we start anything new in our lives we do so while relying on something or someone. We might rely on our intelligence, upon our physical strength, upon our skills, upon our talent or an ability that we have, or we might rely on something external. We might rely on our friends, our wealth, on our family, on our children but, Allah سبحانه وتعالى tells us Bismillahi Rahmani Raheem that we begin with, In the name of Allah, the Entirely Merciful the Especially Merciful because Allah is the one that makes all things possible and it is only by his mercy that we are able to do anything. It is only Allah that can make it possible for us to learn. Hamd – The meaning of hamd is praise, it comes from gratitude and hamd is to acknowledge the blessings. We praise because we are acknowledging, we are grateful for the blessings that we have been given and we have to remember that the blessing could be that we might have asked for it or we might not have asked for it but Allah سبحانه وتعالى has bestowed it upon us. Now the believer he remembers Allah سبحانه وتعالى whenever he gets a blessing whenever something good comes to him. He accepts that it is Allah that gave him this. Hamd is a word that pleases Allah and it could be something small like a glass of water or it could be something very big, whatever it is Allah سبحانه وتعالى is pleased when a believer says this and when it is said from the heart. We learn in hadith in Sahih Muslim – The Prophet said, Alhamdullilah Tamla um lezan. Alhamdulillah fills the scales, so this is how much value this word as, how much reward Allah سبحانه وتعالى gives for just saying Alhamdulillah from the heart. How often do we think of those that don’t have something to eat or drink? We take for granted that we have food, we take for granted that we have such a variety of things, we take for granted that we can have food and drink, but it is obligatory upon us that we be grateful for these blessings. Allah سبحانه وتعالى begins the Quran by praising himself. Anything that amazes us we tend to praise and bend down to it. Allah begins the surah saying Alhamdulillah so, anything that is truly beneficial to you it is, in fact, Allah, not the sun, the trees, the sea. Allah created all these things for you, so you could praise Allah. Allah سبحانه وتعالى also gives us things that we don’t even ask for, we have our faculties, the air that we breathe, water, animals etc if we did not have animals we could not survive so we have to be grateful to him. We say All Praise to Allah Lord of the Worlds. Allah سبحانه وتعالى is perfect we can praise Allah سبحانه وتعالى and we can praise others, but it is not the same it is not at the same level, we can praise someone but in the heart, we may not really mean it so it can never be at the same level. It is Allah سبحانه وتعالى who created the universes, who sustains the universes and he nourishes the universes all the way to the end. He owns everything that is why all praise is for him. The sun, it always comes out on time because Allah سبحانه وتعالى is controlling it. There is so much harmony in the universe because Allah سبحانه وتعالى is controlling this. Some people believe that Allah سبحانه وتعالى just created and that was it, but this is not so Allah سبحانه وتعالى maintains the universe and all that is in between them. Allah سبحانه وتعالى is constantly merciful to us, he grants us blessings and we sin, yet he continues to grant us blessings. He does not immediately punish us. Ar Rahman – He is entirely merciful to us and he gives to us whether we show gratitude or not, he continues to give to us all the time. Imagine if you were to do a favour for someone if you were to give to somebody and they did not show gratitude towards you. And again, you give to someone and they still did not show gratitude by the third time there is no way you would want to go back to that person, and yet each time we commit a sin, each time we do something wrong Allah still continues to give to us. Allah سبحانه وتعالى is Sovereign of the Day of Recompense. Malik means Sovereign, Master, Complete Owner of the day of Recompense, the Day of Judgment. What does it mean that he is the Sovereign of that Day? Or the Master of that Day? It means that all things are in his hands, everything is under his control. On that day only Allah سبحانه وتعالى will have authority. That day whatever a person has done in the Dunya they will recompense, they will be giving their result, they will be given their payment. Every Malik is not an owner – He might own a thing e.g. You have some kings that don’t have an authority like the Queen she does not do anything, but Allah سبحانه وتعالى is Malik and Owner he does both, he owns and has the authority to do everything. Nothing will be hidden from Allah. He is the exclusive owner of that day and this means that all deeds will be completely before him and not just in terms of physically, not just that physically people will be enclosed, but the deeds, the reality of deeds will be before Allah, the intentions behind them, and Allah will give recompense accordingly. The reward for those who did good and recompense for those who did evil. We learn that everything is in Allah's hand, we should not rely on people but turn to Allah because on that day Kings, Queens everybody will be the same. Does man think that he will be left alone that he is here and no one will question him? But on that day they will be questioned so we need to work for that day from now so we can attain Jannah. We learn we should submit ourselves to Allah سبحانه وتعالى in this world. Allah is the owner of this world and the hereafter. A person will be brought forth from the first to the last on that day. If it is Allah سبحانه وتعالى who is the Master of that Day, we should be sincere to him, we should worship only him for there is no other master and the worship is Na Budu – it is a worship that has humility and love to the utmost degree. When we worship Allah سبحانه وتعالى in one way we do this when we are prostrating before him. In sajdah which is the highest form of worship that is physical humility when you put your face on the floor. This should be done with love and humility. Wa Iyyaka Nastaeen – and you alone we ask for help. All the difficulties we may face all the difficulties we may go through we ask only Allah سبحانه وتعالى to help us, we ask only Allah. We should remember that we are created for Allah ibadah, we are programmed to do his worship by nature. Humans are compelled to love someone and give everything to them, and if we don’t love Allah سبحانه وتعالى and give him everything we own then we will give it to someone else who not deserving. So we should give it to Allah سبحانه وتعالى to the one whom we will return to. He as given us everything. Allah does not need our worship. Everything glorifies Allah, the angels, the heavens, the plants, the animals. We should use our will and turn to Allah. The one who values Allah سبحانه وتعالى he turns to him, he gave us everything so we must turn to him. We are created weak da'eef, we always depend on others no matter how strong we get from inside, we are weak and we have to depend on others we are always in need so we should turn to Allah سبحانه وتعالى in worship and dua. The Prophet صلى ا عليه وسلم and the Sahabah, they would turn to Allah سبحانه وتعالى in dua for the smallest of things, they turned to Allah سبحانه وتعالى in everything. And Allah سبحانه وتعالى says ask me and I will respond to you. We call on friends when we need help, we can’t always get hold of them they may be busy, but Allah سبحانه وتعالى is always there he is never too busy to hear your dua. Allah سبحانه وتعالى is pleased when you ask him. People are not always pleased when you ask of them. This is the first dua Allah سبحانه وتعالى has taught us iyyaka na budu wa iyyaka nastaeen. We should seek help in every matter. To worship Allah سبحانه وتعالى we need to know how to worship him, so we ask him for guidance to the right path. Allah is the one who created us and guidance is in his hands. We cannot choose our own self-made way of worship. We cannot decide for ourselves that this is how we are going to worship Allah سبحانه وتعالى we worship him the way he has taught us. To prostrate before Allah, to obey him, to accept what he has given to us, and to do all this without feeling it a burden or without finding it difficult. And that is why we ask Allah, ihdinas sirat al mustaqeem, guide us to the straight path. Guidance of tawfeeq comes only from Allah- سبحانه وتعالى and you get this only when you ask for it. Guidance of knowledge leads to actions. When we ask Allah سبحانه وتعالى for guidance we are asking for both. If we want the ability to walk upon the way we have to ask for it so when we make dua, sirat al mustaqeem, we are asking for the guidance. Every day in every prayer in every rakat we ask this of Allah سبحانه وتعالى. Hadiya Ilshad– direction, showing the way, information, all of us are here gaining the knowledge. hadiya ilshad leads to knowledge. 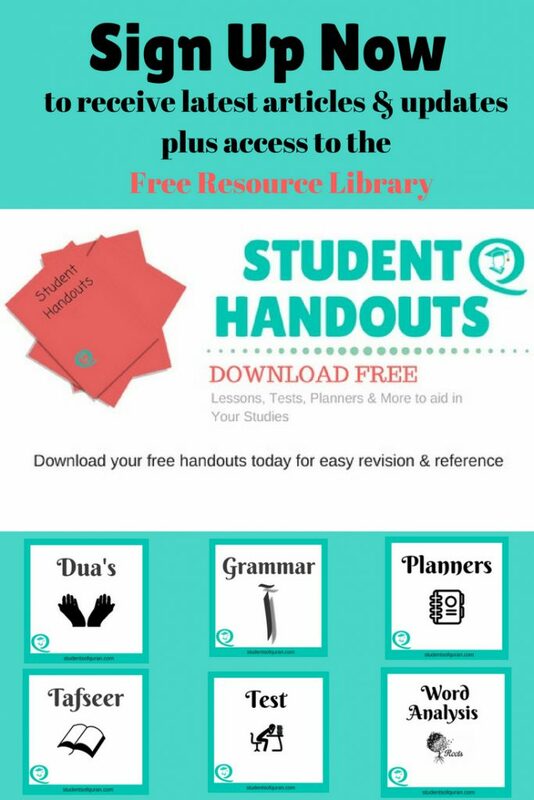 Hadiya Tawfeeq – when Allah سبحانه وتعالى gives the tawfeeq, the ability to a person to implement the knowledge, to remain steadfast upon the path of deen. This hadiya tawfeeq comes only from Allah سبحانه وتعالى this hadiya tawfeeq a person gets when he asks for it, it leads to actions. Sirat Al Lathina An'amta Alayhim - When we ask for this path, those who Allah has bestowed his favour, Who are these people? As Saliheen those who are Righteous. These are the ones Allah سبحانه وتعالى has bestowed his favour upon. What is the blessing Allah has given them? أَنۡعَمۡتَ عَلَيۡهِمۡ its the blessing of Islam, blessing of knowledge, of the guidance. We want to be on the same path as them, those who are practising, they have the knowledge. If you study the lives of the Sahaba you will see that their lives were practical, they did what they said. They had the knowledge and the knowledge was in their actions. These people sacrificed their time for Allah سبحانه وتعالى they spent their time in the service of Allah, their dedication and their commitment to the deen, they were submissive, truthful, honest, patient, trustworthy, and they called people to Allah’s way, so they had the knowledge, implemented it and spread it to others, called others to the same thing that they had, to the blessings that they had, to spend in the way of Allah. So in other words, we are asking for all of these qualities. When we say صِرَٲطَ ٱلَّذِينَ أَنۡعَمۡتَ عَلَيۡهِمۡ we are asking for these qualities that these people had. Allah سبحانه وتعالى is pleased with them and they are pleased with him, so we want to be like them, we are asking for the same path that they walked upon, and for this, we need to study their lives. Ghari Al Maghdubi Alayhim Wa La Daleen - Not of those who have evoked your anger or of those who went astray. And we ask Allah not to make us of those Ghari Al Maghdubi Alayhim, not of those who invoked your anger. Who are those who invoked Allah’s anger? They are those who went astray after gaining knowledge. And not of those who went astray – Daleen are those who went astray without having the knowledge, they are ignorant, they did not learn nor did they try to learn, so there are two different groups here. Those that had the knowledge and yet they disregarded that knowledge and went astray and those that did not even learn, they did not have the knowledge nor did the seek it. Those that did not even learn, they did not have the knowledge nor did they seek it. Now Allah سبحانه وتعالى is angry with those who know and yet they still do wrong, thus Allah سبحانه وتعالى describes Al Maghdubi as those who know and yet they still do wrong, as we would when we know something better we know better than what we are doing, they know they should not be doing what they are doing, yet deliberately they still do that and this is what invokes the anger of Allah. Allah’s anger becomes his punishment. So we look at the previous nations of Nuh who was the first nation to be destroyed, then Ad and Thamud and over time Bani Israel also had the punishment of Allah سبحانه وتعالى upon them. Allah سبحانه وتعالى says in the Quran Sirat Al Lathina An'amta Alayhim – the path of those who Allah favored. In the Quran Allah سبحانه وتعالى says today I have completed my favour upon you. There are many favours that Allah سبحانه وتعالى has given us but the blessing that is mentioned the greatest blessing that Allah سبحانه وتعالى have given us is the blessing of Islam, knowledge of this deen. We ask Allah سبحانه وتعالى to make us continue to walk upon this path of Islam until death. Ameen. From this Surah, we learn that to be upon the path of those who are blessed, you must act upon it so that we can be saved on the Day of Judgment. When we end this Surah we say, Ameen. O Allah accept this dua. The Messenger of Allah said when the Iman says Ameen then say Ameen, because whoever says Ameen with the angels his previous sins will be forgiven. Ameen is not just to be said after Suratal Al Fatihah but at any time that someone makes a dua – when we say Ameen, we are saying O Allah answer our dua. In Hadith, in ibn Majah, the Prophet صلى ا عليه وسلم said that the Jews have never envied you more for you saying salaam and for you saying Ameen so it is a blessing for the Ummah of the Prophet صلى ا عليه وسلم that we were granted this. 1. Those who are favored, they have knowledge أَنۡعَمۡتَ عَلَيۡهِمۡ and they have action. 2. Those who have earned anger upon themselves ٱلۡمَغۡضُوبِ عَلَيۡهِمۡ they are the ones who have the knowledge but they don’t act upon it, they don’t implement it. I learnt the translation of Surah Fatiha a while back but this is such a wonderful and detailed explanation of it! Jazak’Allah khayr for sharing this! Salam Jamila, another comprehensive post mashaAllah. If you don’t mind my saying so, the transliteration could be improved in certain words, #6 Ihdina, instead of idina for example. I understand that it’s not an easy job, but thank you for doing the hard work, mashaAllah. This is really thorough tafseer, it takes me back to when we studied the tafseer of the faatiha – jzkAllah for organising it so structured and well. I love learning new things & increasing my knowledge with Islam. After having left Masjid years and years ago educating myself in my own hands so I must do this carefully! All the educational information here is from the Quran and Sunnah so you should be ok sis. Such a useful post.Jazak Allah khair for sharing. Alhamdulillah. I’m glad I get to read this tafseer today. May Allah bless you throughout the month. Ramadan Mubarak. SubhanAllah, such a useful post. Jazakillahkhayr. I really want to perform “worship that has humility and love to the utmost degree” for Allah alone, by His will. 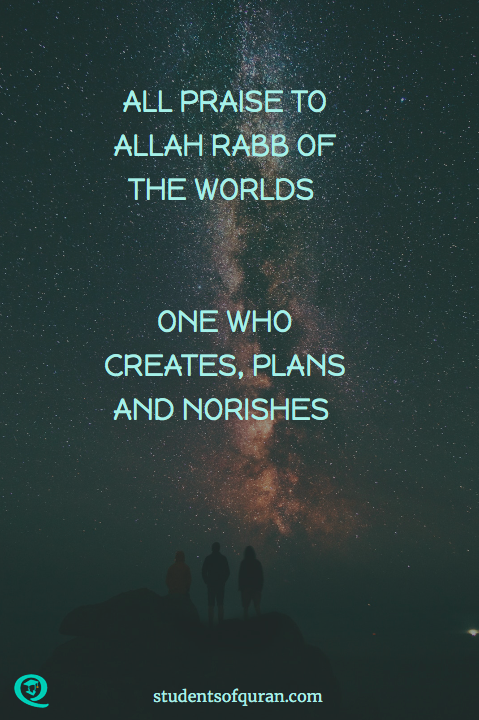 I am particularly grateful for your reminder that we are created for worship, always in need of help and continually giving, so we *must* turn to Allah in all circumstances or we risk approaching someone or something else for interactions only He deserves. All praises and thanks to Allah for His guidance.